The Panda-monium Quilt Kit is a cuddly flannel quilt perfect for boys or girls. 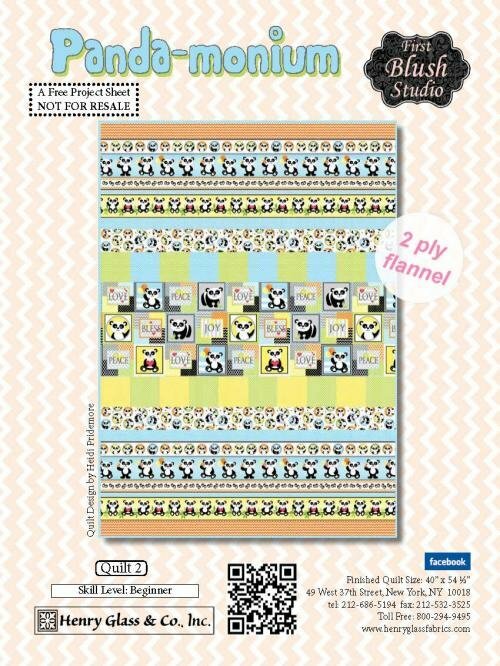 The Panda-monium quilt kit includes the pattern and the flannel fabrics for the top and binding. The finished quilt measures 40" x 55".